Don Henley confirms that The Eagles are done! Now this just proves that sometimes, in life, you just have to forget the financial cost involved in something and just do it because it is the right thing to do and because of what it will mean to the people who you can do it for. This was one such occasion…. 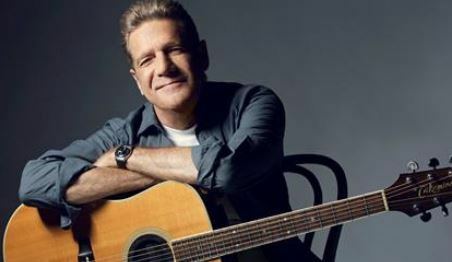 I grew up on the music of The Eagles. Mum and Dad were big fans and Dad always played ‘The Last Resort’ at Christmas (many a christmas video with that as it’s soundtrack) and they very kindly took me to Wembley back in the early 90’s to see them at the old Wembley stadium. 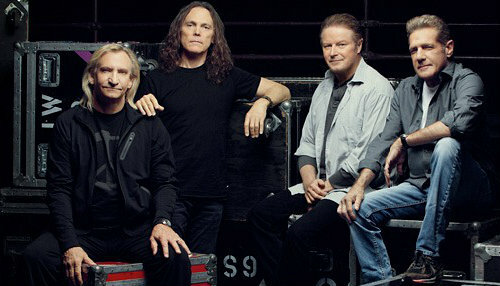 So, when an opportunity arose recently, I wanted to repay that gesture because they (The Eagles) are getting on a bit (as we all are) and I thought that it may be the last chance we get to see them live….how right that proved to be. In 2014 I travelled to Atlanta for work and prior to visiting the country I looked at what musical attractions were on at the time and I was highly excited to see The Eagles were set to play in Atlanta during the time I was there. After I arrived I was chatting to a co-worker friend (you know who you are) and mentioned that I would love to go and see The Eagles again and she mentioned that our company had a box reserved for this event. At which moment, I probably started hyperventilating and asked if she could get me into see them. Unfortunately this wasn’t an option but it gave me a taste for seeing them anyway, so I looked when they would be playing in London as I knew Mum and Dad would like to see them too. I looked on Ticketmaster and as fate would have it, they were playing the O2 on Saturday 21st June…..my Mum’s Birthday! I didn’t hesitate and booked 3 tickets immediately and although they were the most expensive tickets I have bought, in my life…Ever…I knew they were worth it. 17 rows from the front on the main floor area at the O2. Amazing! I wrote my parents a letter and read it to them whilst we dined out with a nice meal before telling them where we were going and travelling to up to the show. I have seen many bands in my Rock/Heavy Metal days and many have been brilliant but I have to say that I have never heard music played live like I did that night. The Eagles were consummate professionals; extremely tight musicians and put on a show that will take some beating. Hotel California was of course a highlight but there are so many for me as I have many fond memories of my childhood due to this band. Mum and Dad both thoroughly enjoyed it and I know the memory of that night still lingers with them, as it does me, so when Glenn Frey passed away in January this year I was absolutely gutted because it was the beginning of the end for this amazing band and this article proves that my initial thoughts were correct, that it was indeed the last chase we would have of seeing them play live. I will be forever grateful to my parents for the opportunities they gave me growing up, as they still do today, and I am so glad that I was able to repay them by giving them an opportunity back that they otherwise may not have had. ‘Our time on this planet is very short, so, One Of These Nights, start something new! Embrace being the New Kid In Town; live Life In The Fast Lane; Take It To The Limit and enjoy the Tequila Sunrise but remember to slow it down now and again to Take It Easy so you can enjoy that Peaceful Easy Feeling. We all hopefully become a Victim Of Love during our lifetime and pine for The Girl From Yesterday but just try to avoid the Heartache Tonight and don’t become a Desperado; worrying about Wasted Time! Life is full of ups and downs and you just have to Get Over It and keep moving forward, for The Long Run. You have to Try And Love Again because at the end of the day, Love Will Keep Us Alive even After The Thrill Has Gone. So live a good life and be happy. Take some chances and be grateful for all that comes your way. Life is there for the taking and experiences are yours to be enjoyed. Just have the courage to go for it and Keep Moving Forward.